I don't have a story of extreme devastation to tell. 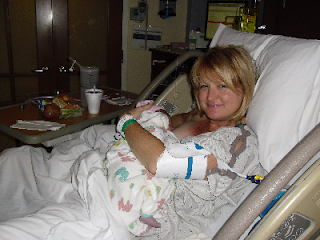 I had heartache and pregnancy loss, but I finally got pregnant and had a healthy baby at 45 years old. I was very lucky at 44 years old to get pregnant two out of four IUI [Intrauterine insemination] cycles, but you could be too. The odds of my conceiving were 3% according to medical science, yet I got pregnant over 40 years old - two out of four tries. I've dedicated myself to helping other women learn how to prepare themselves for trying to have a baby over 40 years old. I wish I had found a book like 45 and Pregnant: How I Conceived and Delivered Naturally when I was going through testing, pregnancy loss, pregnancy, and delivery. It would have helped me understand what might happen next, how another woman dealt with it, and what I might be able to do. -- 45 and PREGNANT is a 3-part journey beginning with a 44-year-old single woman with no prospects, leading quickly to a middle-aged pregnancy.